Well, I was totally relieved when I found out what this month's challenge is. Know why? 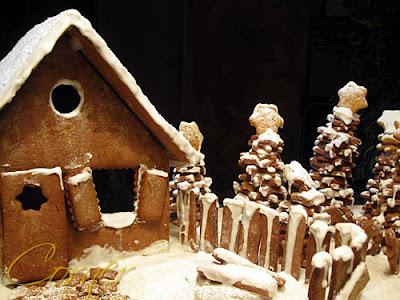 Because I already planned to bake a gingerbread house for the very first time this year, and I was happy to do it together with the Daring Bakers. I didn't want to make anything fancy or colourful, and not only because decorating with icing is not my cup of tea, but I wanted to stay so to speak "natural". I just wanted a snowy, old cottage in the forest. 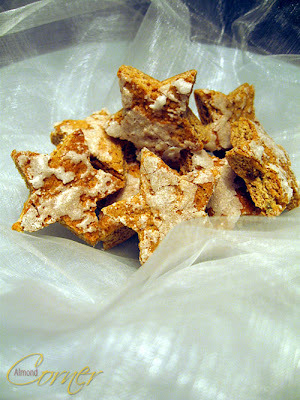 Do you remember those spicy stars? 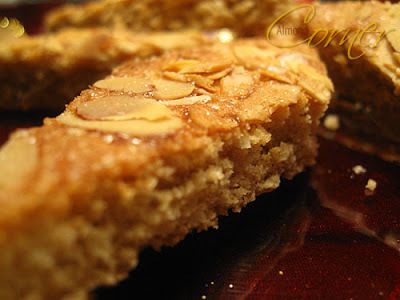 I must confess I loved to cut out the cookies of the baked dough, though the leftover wasn't very attractive, but they were perfect with a morning cup of milk or tea. 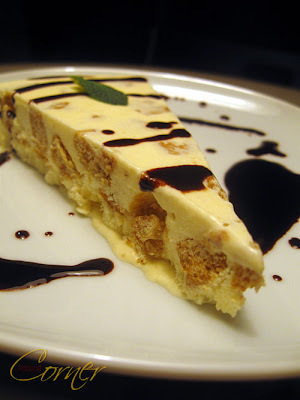 Anyway, I decided to prepare a parfait using those cookie leftovers. Beat egg yolk and egg until foamy. Dilute sugar in 25 ml water and beat into the foamy egg mix. Beat the mixture over steam until it has a thick and foamy consistency. Beat cream and fold it into the cooled egg mixture. Stir in the chopped cookies and freeze it for at least 4 hours. 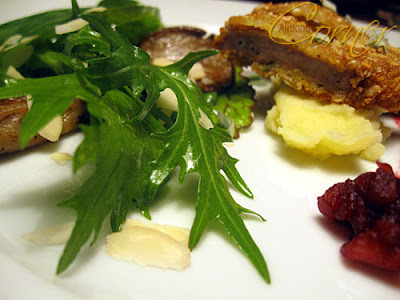 Well, I was craving for veal liver again and actually, I wanted to prepare it the same way like the last time. Being alone at home, and being the only who likes liver, except my dog, it was the perfect opportunity to cook that dish. But then I felt like improvising so instead I coated the thin liver slices in a mixture of ground almond and breadcrumbs and fried in butter oil. I also added some fresh sage to the eggwash. Fruit and liver is a nice combination so I decided to poach some cubed pear in red wine among some thyme and honey. 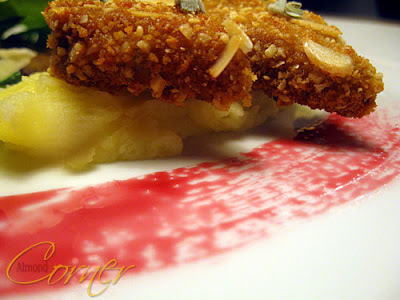 I served it with a light salad, flavoured with pear vinegar, lemon juice and walnut oil, fried oyster mushrooms and some mashed potatoes. Probably, this cookie speciality of canton Graubünden is much less known than the famous Nusstorte. As its name says it contains cinnamon. 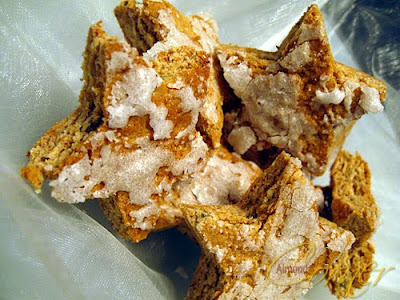 It is also an ideal last minute cookie as it is done very fast and if you love cinnamon, well then it is a must. Preheat oven to 180°C. Whisk butter and sugar until foamy and then whisk in the eggs one by one. Add salt, cinnamon and ground almond. Stir in the flour. 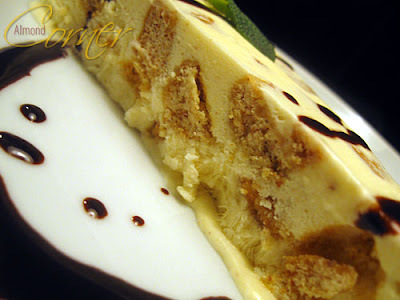 Smear batter on the back of a baking form (35*38 cm) and smear the top with milk. 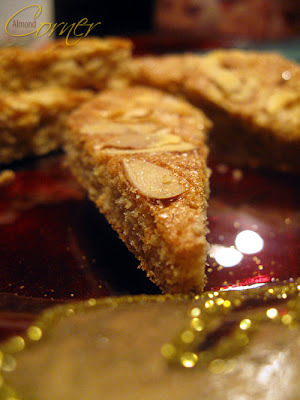 Sprinkle sugar and sliced almond on it and bake for 20-30 minutes. Cut in rhomb forms as long as it is still hot. It is not yet over! There are still some cookies that I would like to bake, probably a bunch tomorrow and the honey cookies for my dad on Tuesday. 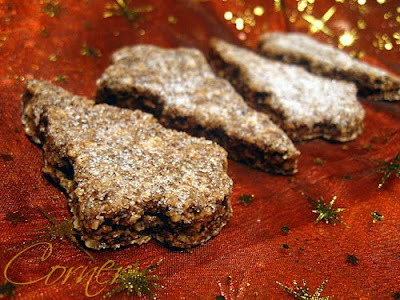 Yesterday, I baked Lebkuchen and prepared these no-bake cookies. Grate chocolate and mix it with the almond and sugar. Add Kirsch and chocolate and knead it together. This needs a medium portion of patience. 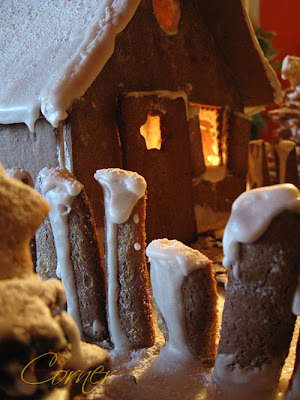 Roll out dough between two sheets of baking paper sprinkled with sugar and cut out any kind of form you like. Let the cookies dry over night. It seems that I am turning into a soup fan! 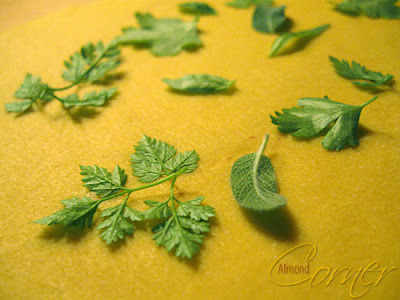 I haven't ever prepared so many soups like this autumn-winter season and I even have many "must cook" soups on my list. 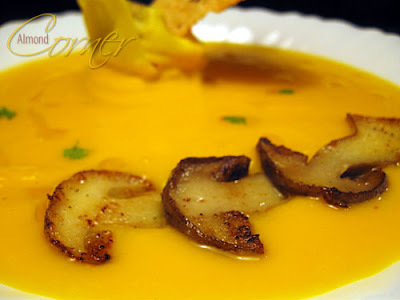 Some days ago I prepared a sweet corn soup flavoured with lemongrass, ginger and curry. 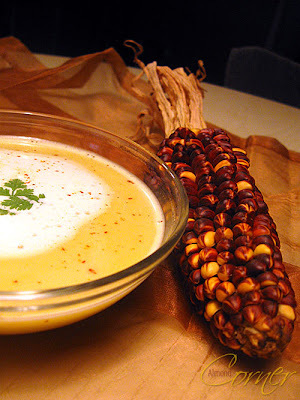 Frankly, I couldn't imagine that a corn soup can be so delicious! Heat butter and saute chopped onion. Add curry powder, crushed lemongrass and sliced ginger and fry until you start to smell the spices. Add sweet corn and broth and cook for about 10-15 minutes. Remove lemongrass and ginger and puree the soup. Then press it through a strainer. Beat cream and stir it into the soup. Season and serve. 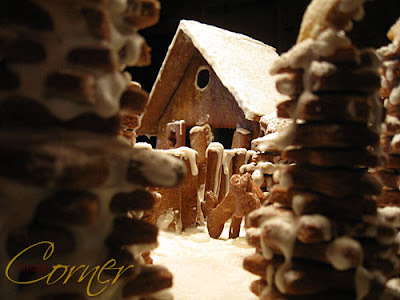 At the begining of the month I mentioned, that this year I am going to bake mainly Swiss cookies for Christmas. Before I decided for one I checked a smaller bunch of recipes, but at the end I chose again Robert's recipe. Mailänderli are traditional Swiss butter cookies with a light lemon flavour. When I baked them I wasn't sure how dark the glaze should be and as you can see they turned out quite light, but nevertheless they are very delicious! 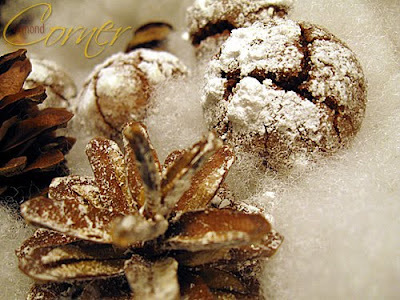 Whisk butter and sugar in a warm bowl unil fluffy. Stir in egg, egg yolk and lemon peel and whisk for 10 minutes. Sift flour and knead a dough, but be fast. Leave it in the fridge for 2-3 hours. Roll out dough about 1 cm thick and cut out cookies. Leave them again for 2-3 hours in the fridge. Preheat oven to 180°C. Glaze cookies with the egg yolk-cream mixture and bake them for 13-15 minutes. Slice the cleaned liver and chop the onion. Sauté onion in butter. 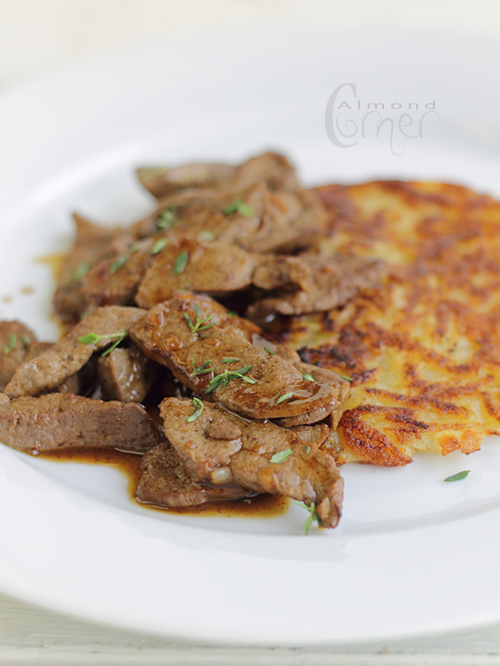 Fry sliced liver together with the thyme leaves for a minute and a half on both sides. Set the liver aside. Add cognac and brown veal stock, reduce. Put the liver back to the pan cook for another minute, season and serve. 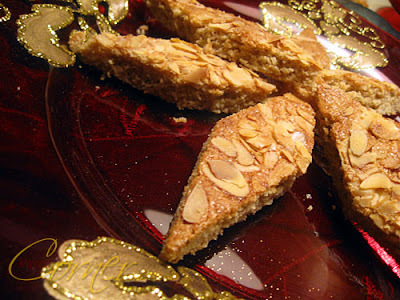 The canton of Basel is renowned for two of its biscuits: the Basler Läckerli is a hard biscuit made of honey, almonds, candied peel and Kirsch. 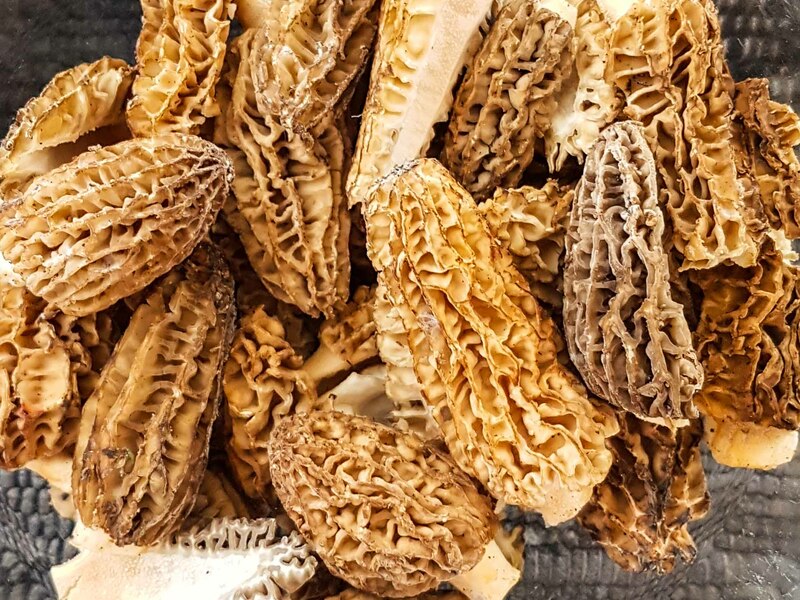 It is a speciality that is enjoyed all the year round. 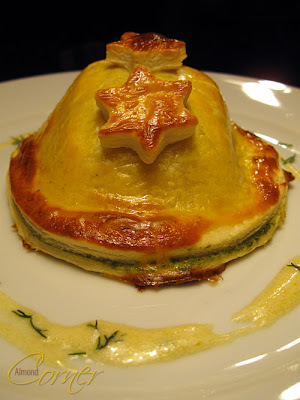 The Basler Brunsli is generally enjoyed at Christmas in Switzerland. 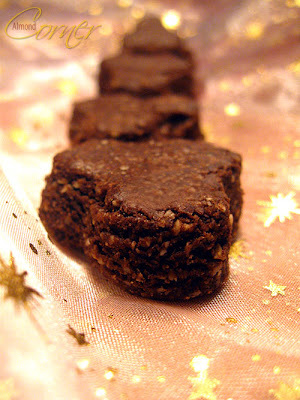 It is made of almonds and cocoa or grated chocolate. The first Brunslis were made around 1790 using cocoa powder. As I wanted to stay traditional and authentic, I decided to make it that way and not with chocolate. 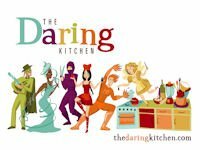 And the recipe? It comes straight from Basel from Robert of lamiacucina. Be careful! Brunsli is highly addictive! 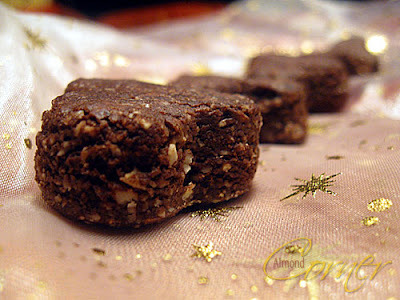 Here is another Brunsli recipe with chocolate. Beat slightly the egg whites. Mix grated almond, powder sugar and ground clove, then stir in the egg white. When the dough is getting together add the Kirsch. Place the dough in the fridge for at least 2 hours, but better over night. Roll it out between baking paper about 1 cm thick and cut out forms. (Usually it is rolled out on sugar, but I left this out.) Leave them in the fridge for 1 hour before baking. Preheat oven to 190°C and bake the Brunslis for about 8 minutes or less if you cut out small ones like me. They should still be slightly wet inside. 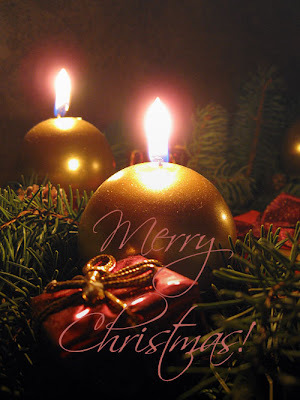 ...but at least as colourful as the Christmas ornaments on the tree. I am talking about Raf tomatoes. Being a tomato freak as you can see that here, here and here or here. Of course I couldn't leave these beauties in the shop. 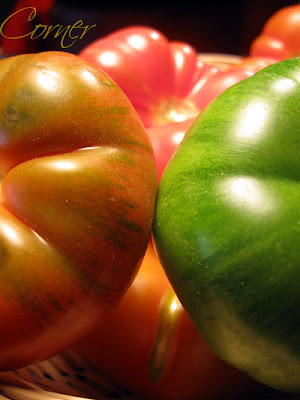 Amazing colours and fantastic taste! 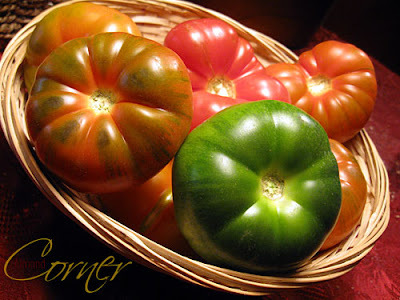 Raf tomatoes are an old, traditional type from Spain. Its name: "resistente al fusarium" means resistant against the mold Fusarium. 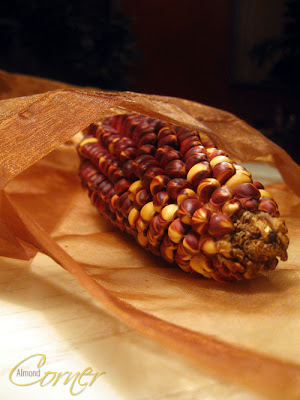 The ripe fruit has different colours from green to red. Its main season starts end of November and it lasts until May. 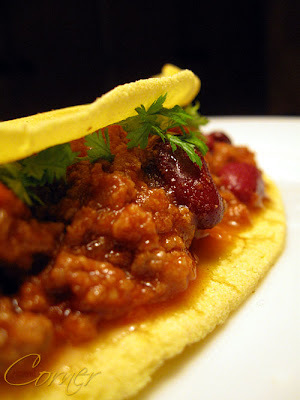 Most of these little treasures we ate with some goat cheese, but some got pretty over ripe so those ended up in Ramsay's chili con carne. Why? Well, since very long I planed to prepare my own tortillas and I didn't want to shift this for next year. It is not easy to make your own tortilla without a tortilla press. I took my crêpe pan and my heaviest frying pan and flattned the tortillas that way and here is the result! Mix the flour with the hot water and knead until smooth and evenly incorporated. Let it stand in a sealed container for 30 minutes. Divide the dough in 15 small balls and bake them flattened. 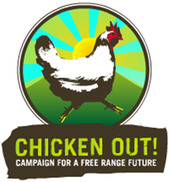 Click here to see how. 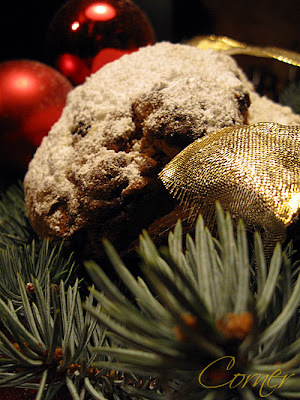 Raindrop posted about a quark stollen some days ago, that she presented in a form of a cute Christmas tree. 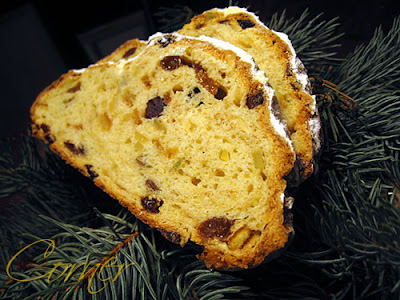 This made me want to bake that stollen. 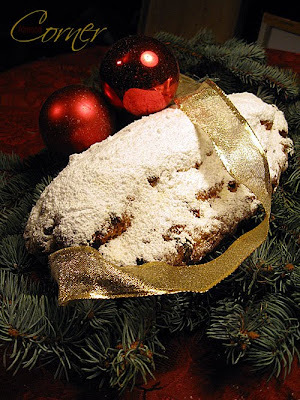 So here it is: my first stollen, but definitely not the last! 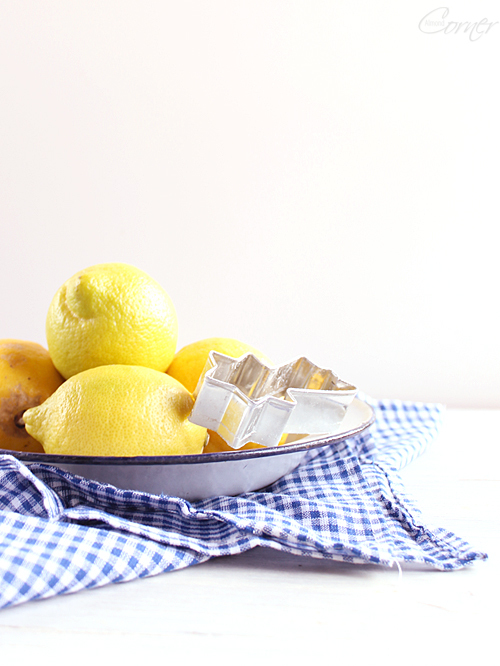 Soak raisins in rum for 2-3 hours. 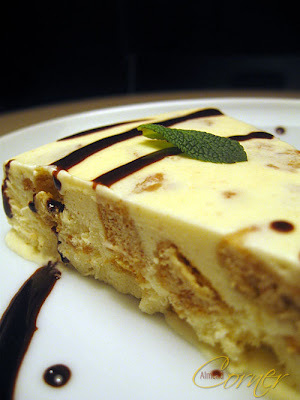 Whisk butter, sugar, vanilla sugar and eggs until foamy add amaretto, rum and stir in quark. Mix flour, baking powder, salt, spices. 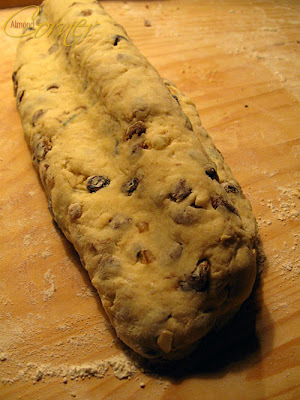 Stir the flour mixture, the drained raisnes, the candided lemon and orange peel to the quark batter. Stir in the sliced almonds. Roll out the dough on a floured surface about 2 cm thick and fold the sides to the middle, then fold it in half and flatten it on one side. Bake for 50-60 minutes on 170°C. 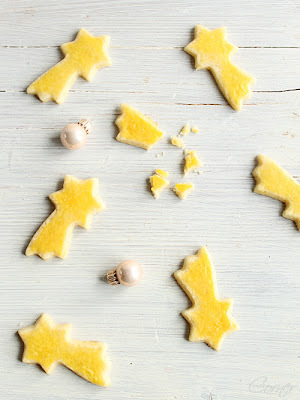 Brush with melted butter as long as it is still warm and sprinkle with loads of icing sugar. 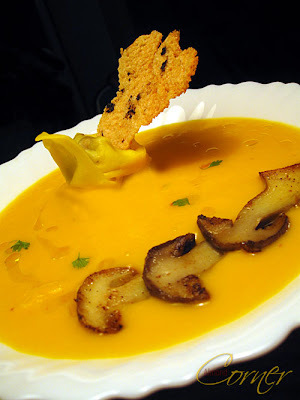 The third dish I prepared from the 3 Star Chef by Gordon Ramsay: butternut squash velouté with sautéed ceps, parmesan crisps and mushroom and white truffle tortellini. I chose this simply, because that butternut squash I bought in September was still in my pantry waiting to be cooked. I had many plans with it, but I never realized any of them. Like in the other dish, I couldn't buy all the ingredients: instead the white truffle trimmings I used some truffle paste and the scallops I left out, yeah you guess it, the overfishing problem. It was also a good opportunity to try the vegetable stock, and I must say I was a bit concerned about the star anise in it, but it wasn't strong at all and it gave a nice touch to the velouté. By the way, these were my first tortellini ever and I guess I still have to practice! 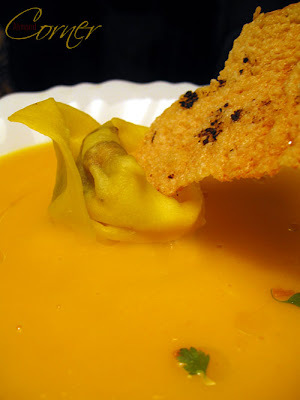 The butternut squash velouté is definietly something, that is going to be on my menu plan in the next pumpkin season! I guess I haven't ever prepared a challenge so late like now! Therefore I was quite under pressure and I messed it up a bit, but anyway it was delicious. In fact we just had it for lunch among a white wine sauce with dill. Thanks Simone for the challenge! Last Friday, I spent almost the whole day baking, because I knew there won't be any time to prepare anyhing at the weekend. Saturday we went to an ice hockey match and Sunday we were invited for lunch. 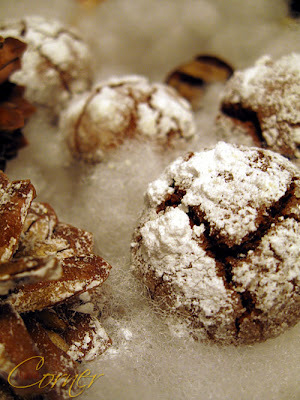 The chocolate crinkles I wanted to bake already since monthes, but never had the opportunity, until now. 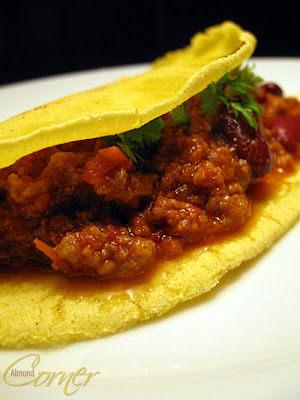 I am kind of in love with these, because they are totally easy to prepare and are absolutely yummy. Sundays. When I was a child a usual Sunday's lunch always included a rich soup with loads of vegetables and boiled meat. I remember I always prefered to eat that soup after it was a few days old, I never liked it fresh and I only took one or two spoonful and nobody could convince me to eat more. Not even with the trick saying one for mommy, one for daddy... But when this soup was warmed up the day after I could eat one bowl after the other. 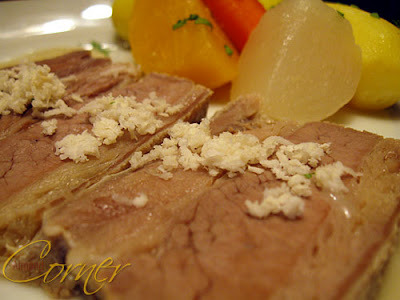 Sometimes my mom also prepared a garlic sauce to serve with the boiled meat and the veggies. If I started to smell garlic, I always closed the door and didn't come out for hours. I hated it. Once I got really curious and tried a bit of her sauce and I was thrilled. I wanted more and more of it. The next time she served it, I tried and thought bleee. She said it is the same sauce I loved so much the last time, and I was sure it can't be, it is ugly. I bet it she added a tiny bit too much garlic, that was what bothered me. Lately, when I was cooking a big pot of soup, I remembered that sauce, so I called mom, and asked for the recipe and prepared the next day among the boiled meat, potatoes and vegetables.While preparing it, I lost myself in childhood memories, and I messed the sauce up, because I changed the quantities of the oil and the flour. Though I was wondering, huh that can't be, so much flour and so little oil, but I didn't care much. So I had to start it all over again and at the end it tasted just like at home. Chop galic very fine with salt. Heat oil and add flour and whisk until well mixed. Add garlic and stew for a minte or two. Pour soup over it and cook it until it has the desired consistency. 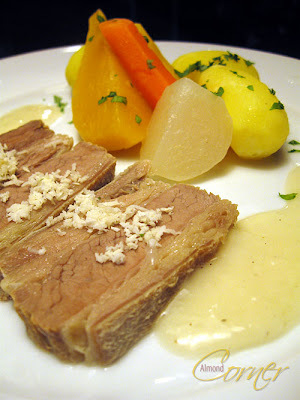 Served with boiled meat, potatoes and vegetables out of the soup. If desired sprinkle meat with some fresh horseradish. Last year I posted my first batch of holiday cookies the same day like now. That's funny! The good thing about it that at least I know that I am not that behind with the preparations as I thought. Phew! I got two cookie doughs resting in the fridge among the filling of the lunch today. 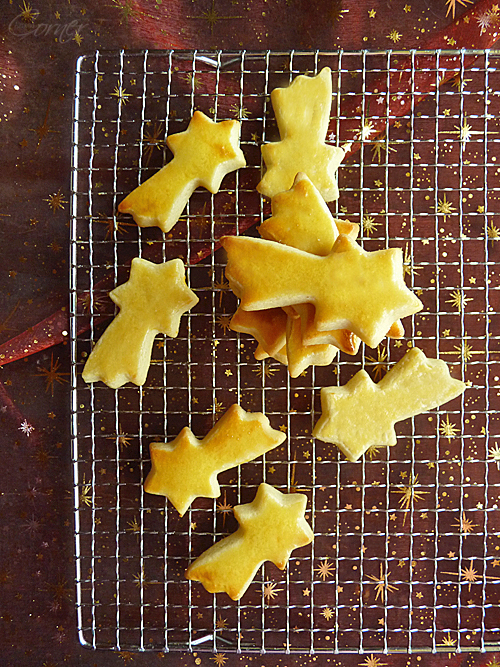 These icy stars are easy to prepare and are real fun to cut the stars out of an already baked dough. 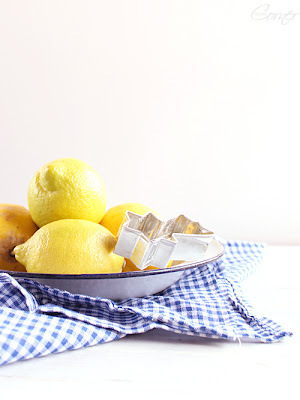 Bring honey and sugar to cook and let it cool. 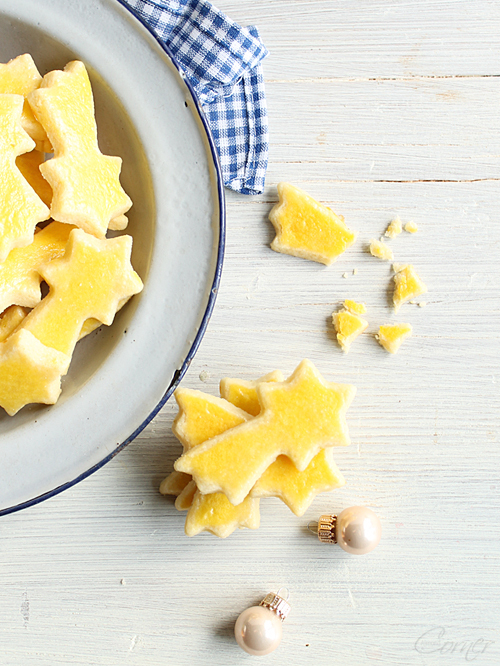 Cutter candied lemon and orange and mix it together with the almond, flour, baking powder and the spices. Add honey and the egg and knead a dough. Roll it out between two baking sheets (about 5 mm thick) and bake for 15 minutes on 170°C. 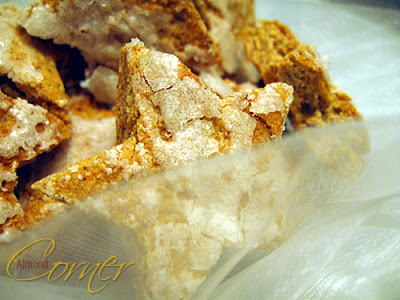 For the glaze cook powder sugar with arak. 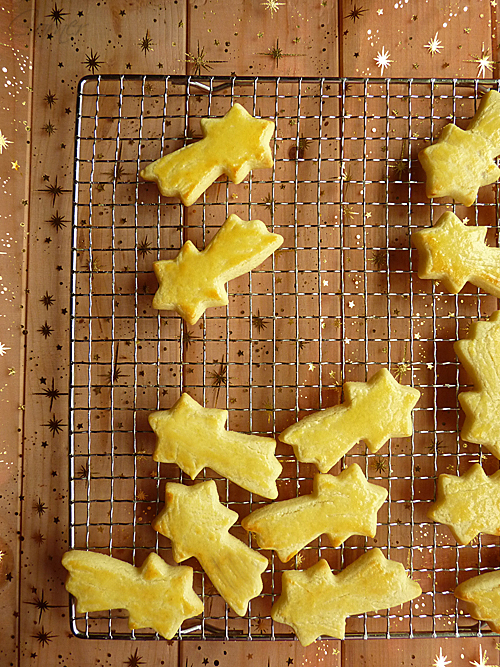 Remove the baked cookie and brush with the glaze, put it back for 30 seconds and cut out the cookies. Let it cool and keep it in an airtight container. 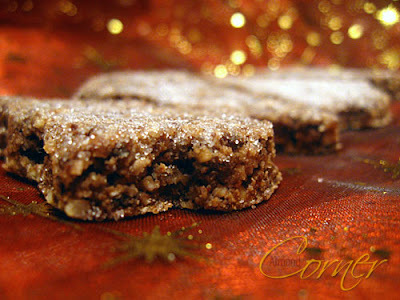 I am sending these cookies to the event managed by Susan from Food Blogga: Eat Christmas Cookies. The event is running until the 20th of December so if you got some cookies you want to share, join the fun! 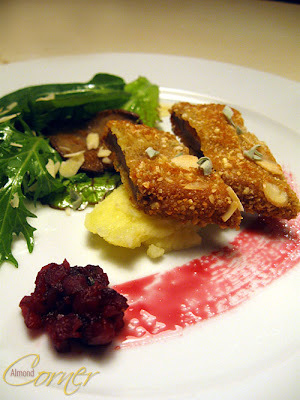 This tiny dish was kind of an experiment for an amuse-gueule that I plan to serve during the holidays. 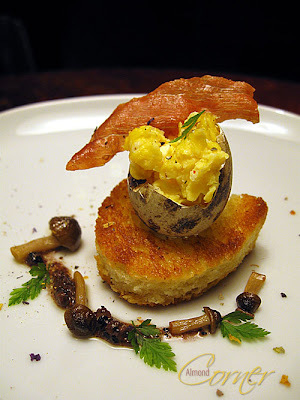 Scrambled quail eggs with fried parma ham, shimeji mushrooms and the truffle vinaigrette I posted already. 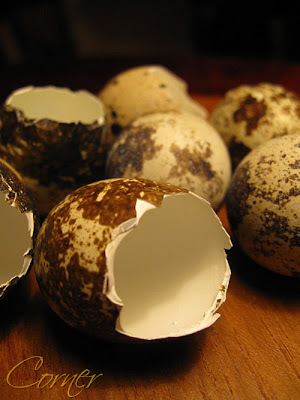 The trickest part was to prepare the eggs and sterilize them. First I rinsed the empty shells with warm water. After I cooked them for 1 minute and then dried in the oven for 7 minutes on 200°C. 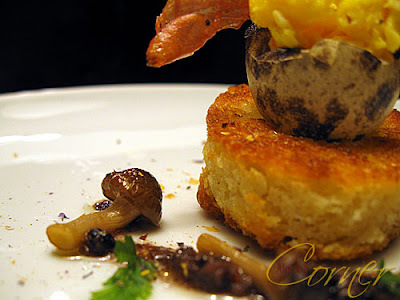 The rest is done fast: just fry ham, mushrooms and a slice of brioche in butter, prepare the vinaigerette and serve with the scrambled eggs and sprinkle with freshly ground pepper and fleur de sel. There was that portion of veal stock that I saved from freezing and it ended up in my lunch yesterday. 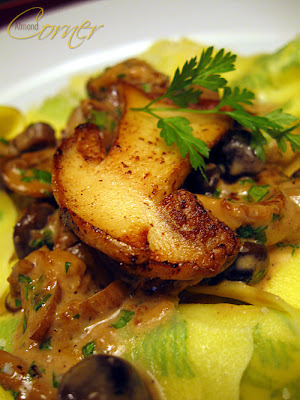 I was craving for fresh pasta with fresh mushrooms. 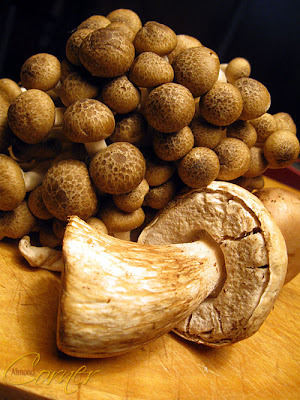 I had some Shimeji, some champignons and fresh porcini in my fridge. 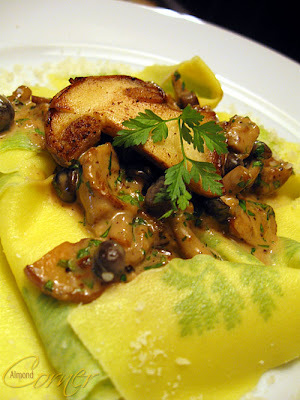 So, I prepared a portion of herb patterned pasta and served among a simple, yet rich mushroom sauce. It is not a big deal to make this kind of pasta. 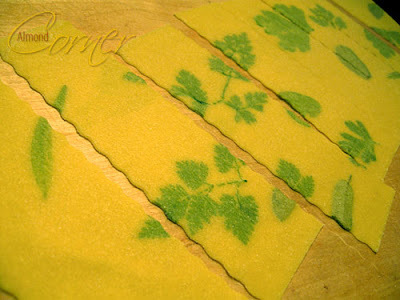 Just roll out the dough as usual with your machine and then when it is rolled at the second thinest stage place washed herbs on it (for example: chervil, parsley, tarragon, basil and sage) and then fold the dough over itself and run it again through the pasta machine. That's it! Clean mushrooms and chop. Heat butter and add chopped onion and fry it together with the mushrooms. Add veal stock, Madeira and cook for 5 minutes. 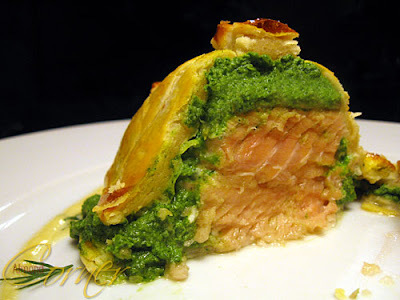 Stir in cream and bring it to cook again, stir in chopped parsley, season and serve.